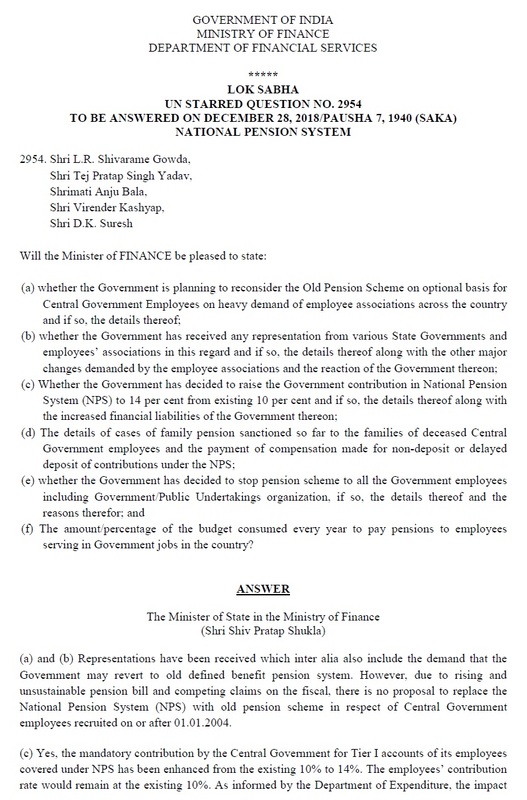 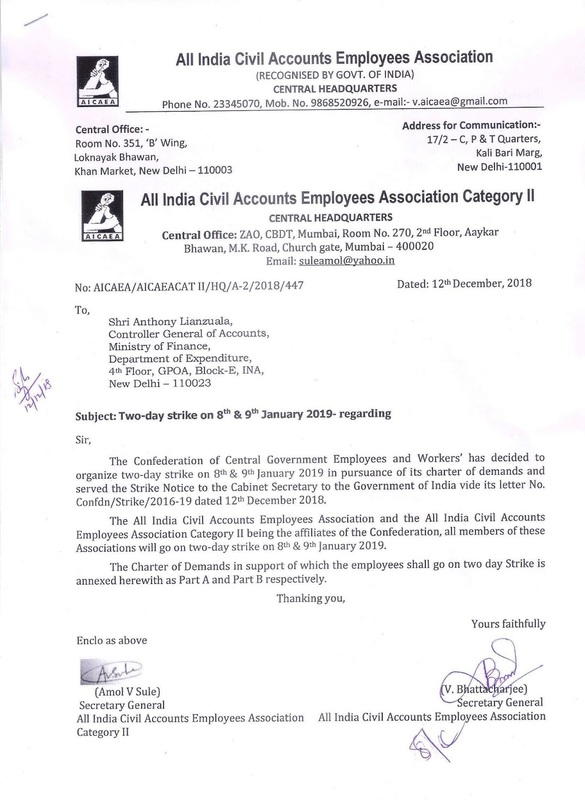 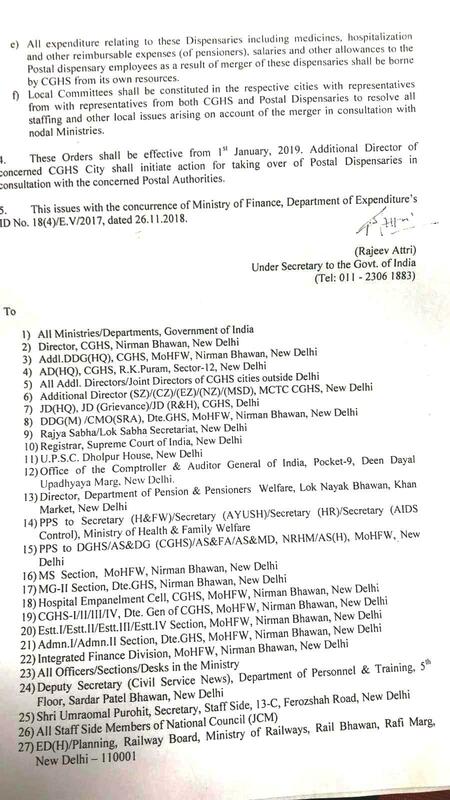 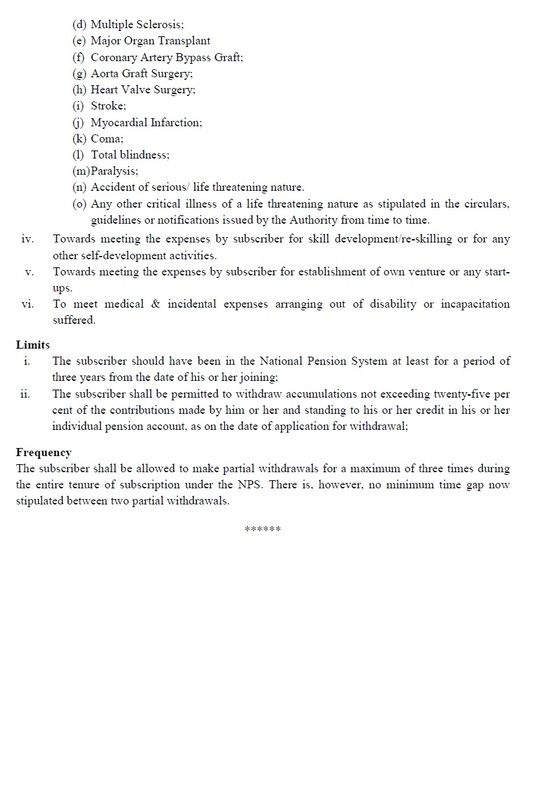 As per advisories issued by the Pension Fund Regulatory &Development Authority (PFRDA) on 06 December 2018, in case of all partial withdrawal requests captured in the system till 30 November 2018, the required forms, information and documents need to be submitted to the respective nodal offices immediately so that verification and authorization can be completed latest by 31 December 2018. 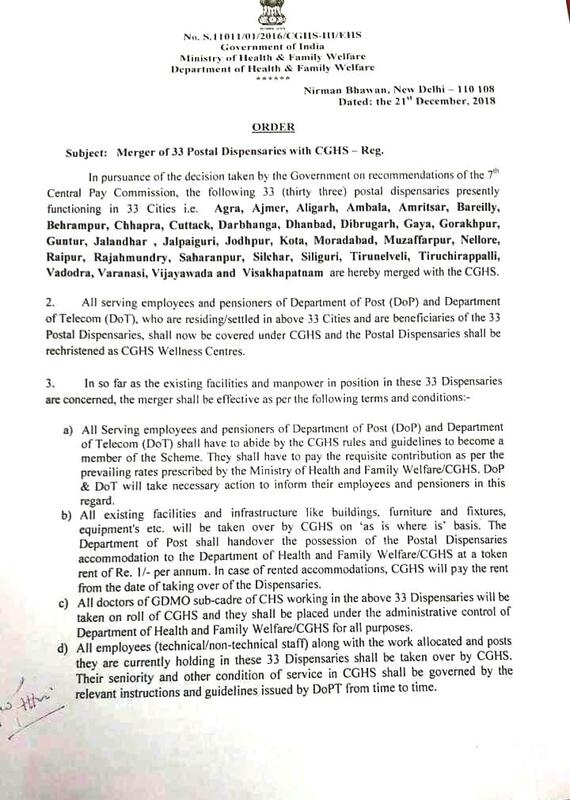 The nodal offices will be : Pay & Accounts Office (PAO) / District Treasury Office (DTO) Drawing & Disbursing Office (DDO) for the Government sector subscribers and Points of Presence (PoPs) for subscribers in other sectors. 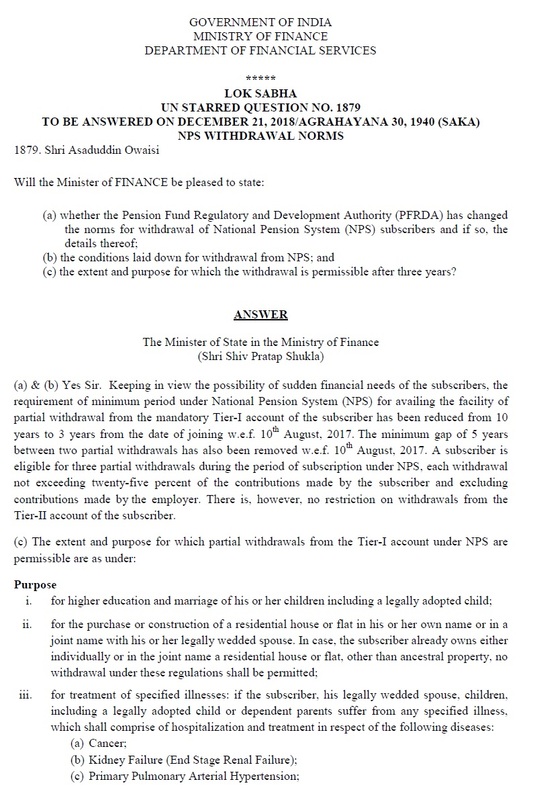 If a request for partial withdrawal is not authorized in the system by 31 December 2018, it will be treated that the subscriber is no longer interested to seek partial withdrawal and the application / request will be considered as withdrawn. 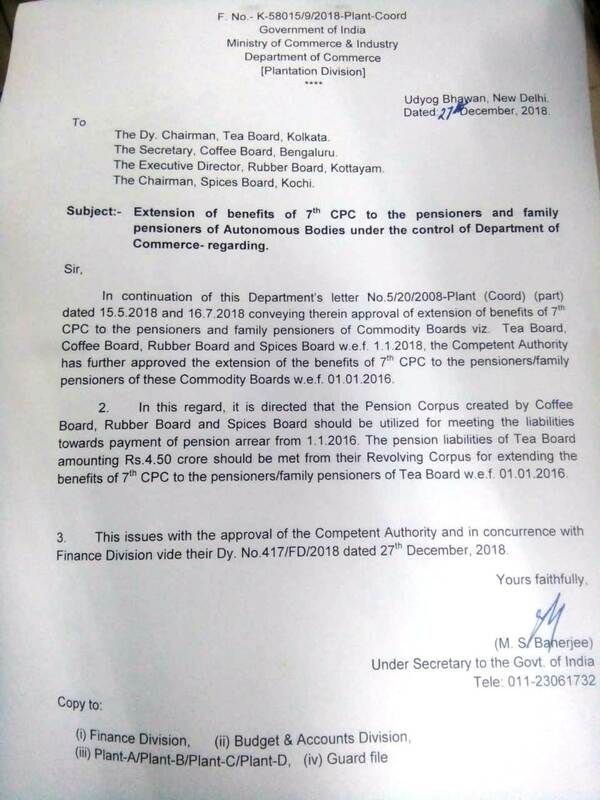 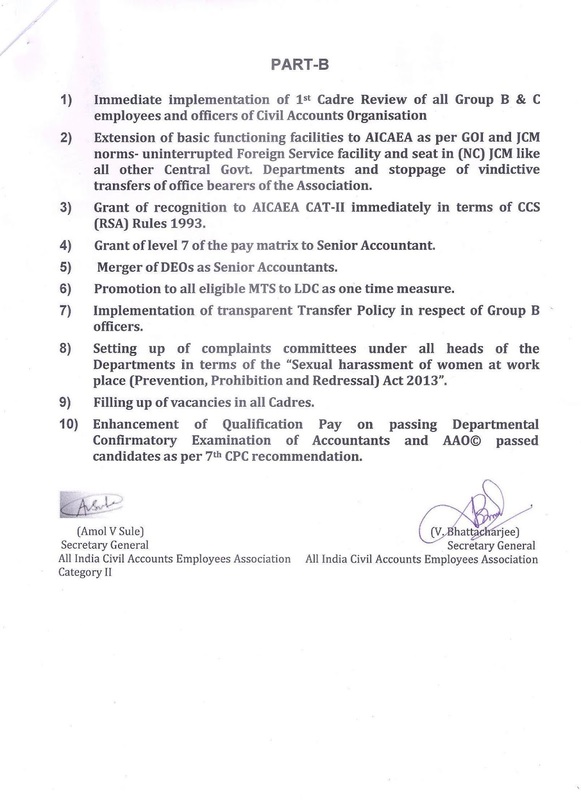 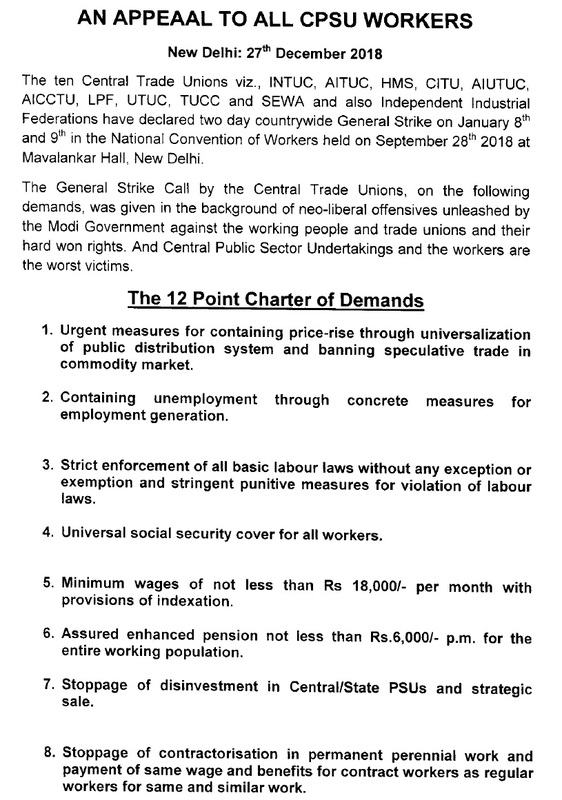 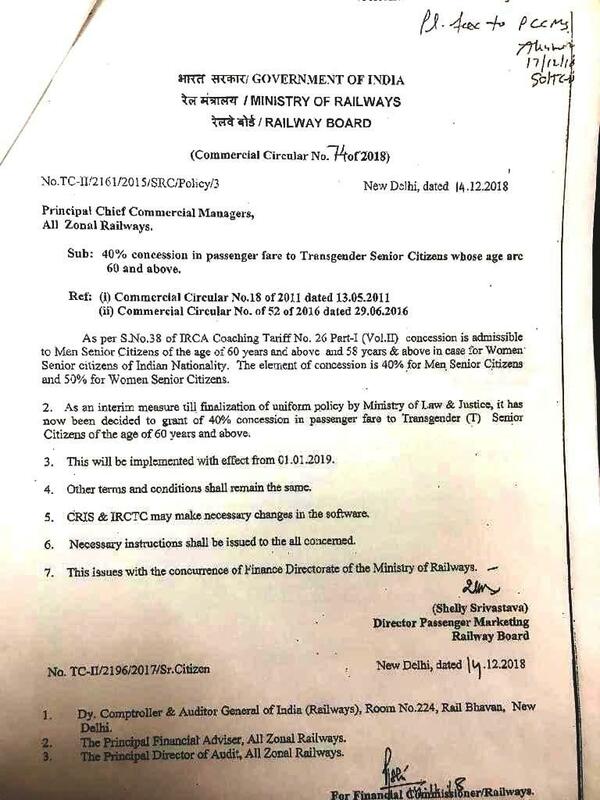 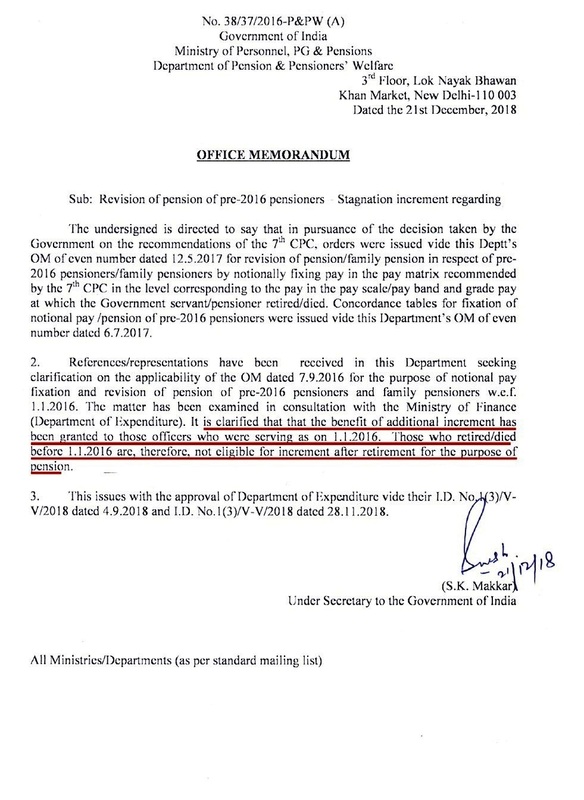 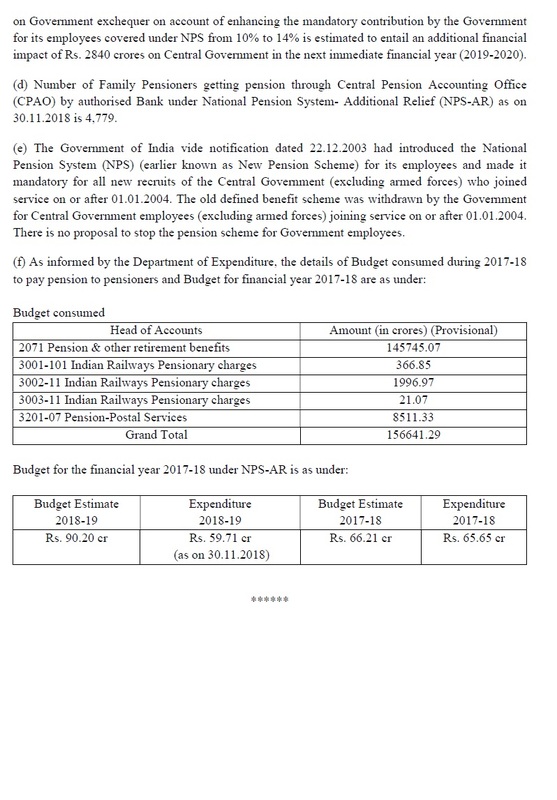 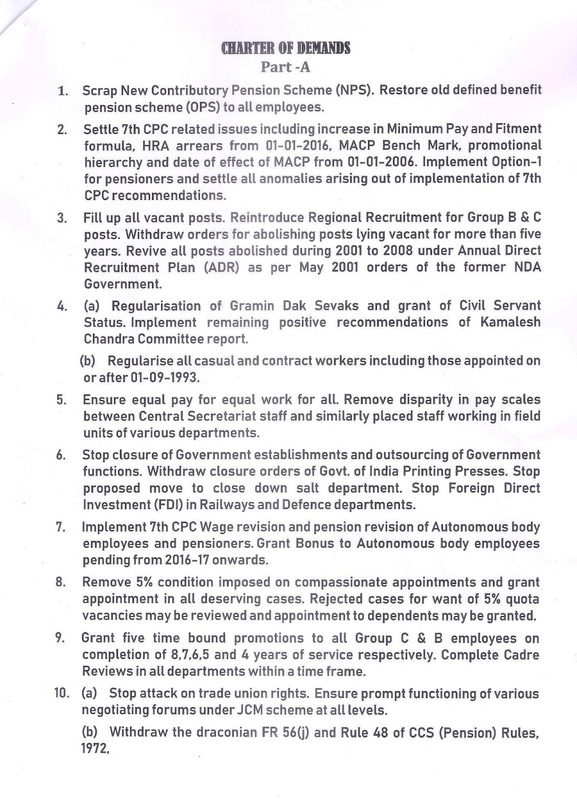 GOVT CATEGORICALLY STATED THAT NO INCREASE IN MINIMUM PAY AND FITMENT FORMULA -- CONFEDERATION STRONGLY DEMANDED NJCA CHAIRMAN, Dr.M.RAGHAVAIAH (Railway - NFIR) & Com. 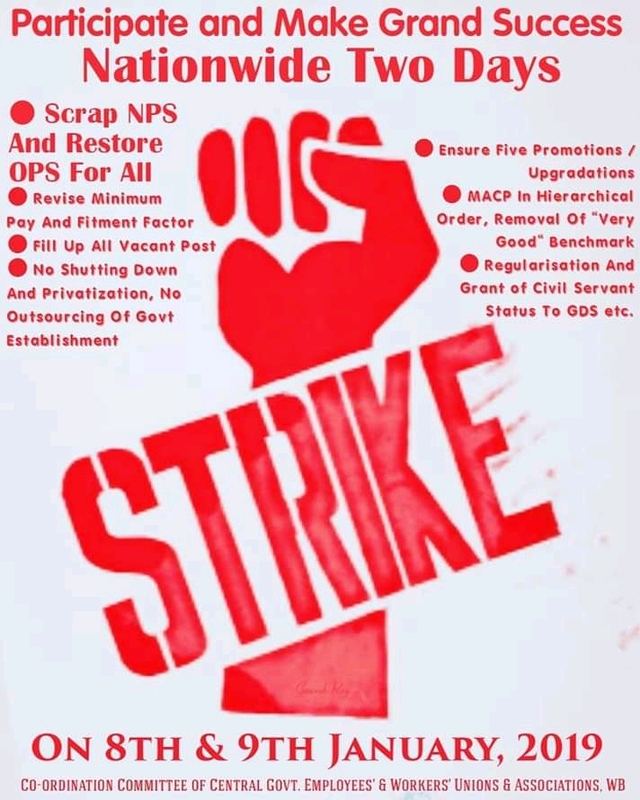 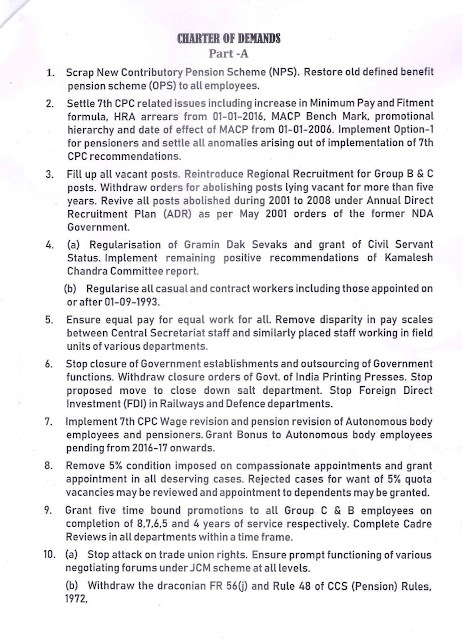 SHIVGOPAL MISHRA, CONVENR, (Railway - AIRF) TO REVIVE DEFERRED INDEFINITE STRIKE WITH SCRAP NPS AS FIRST DEMAND. 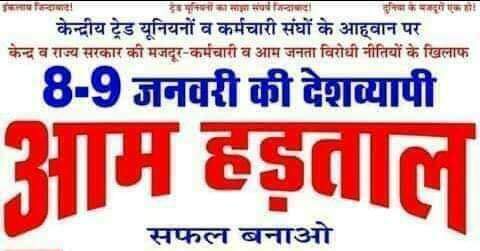 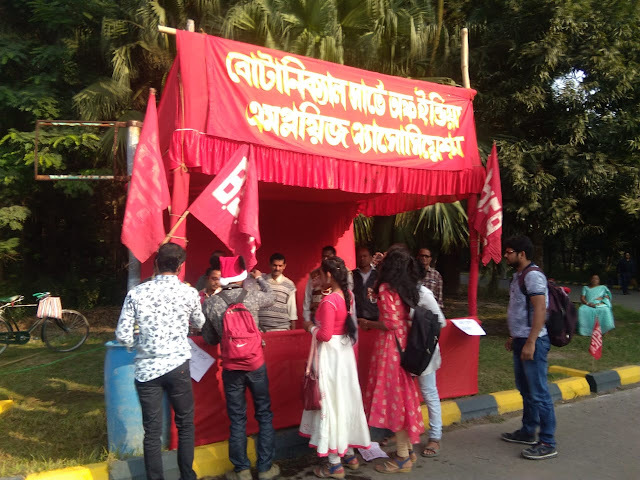 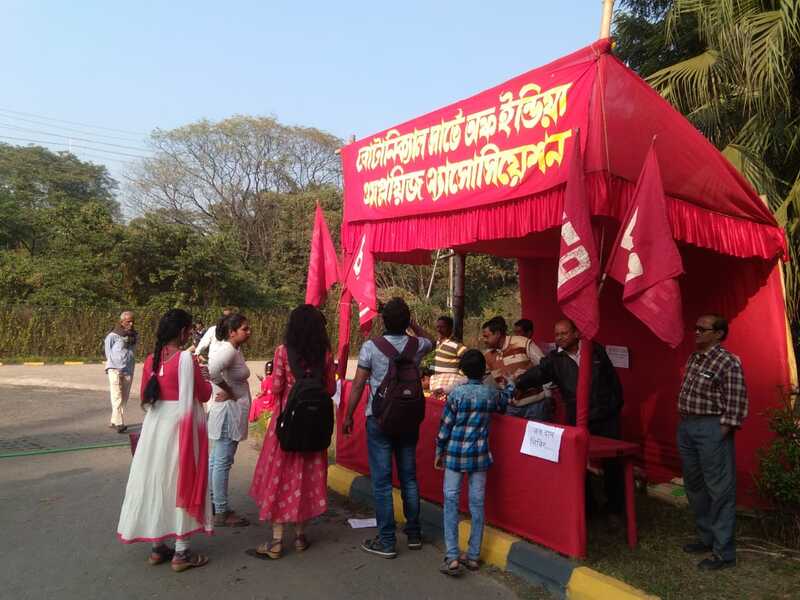 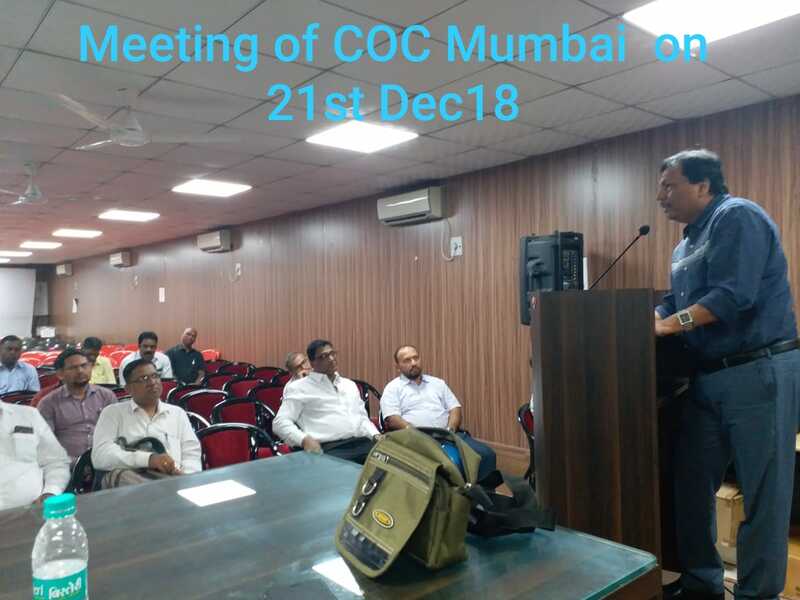 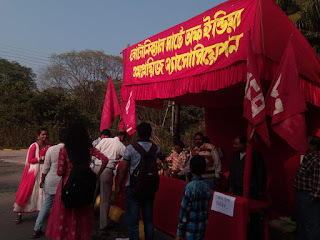 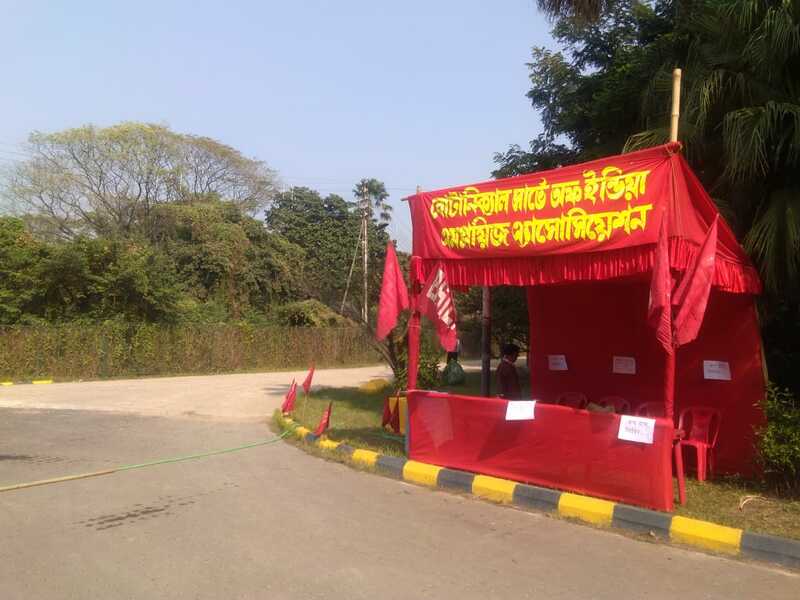 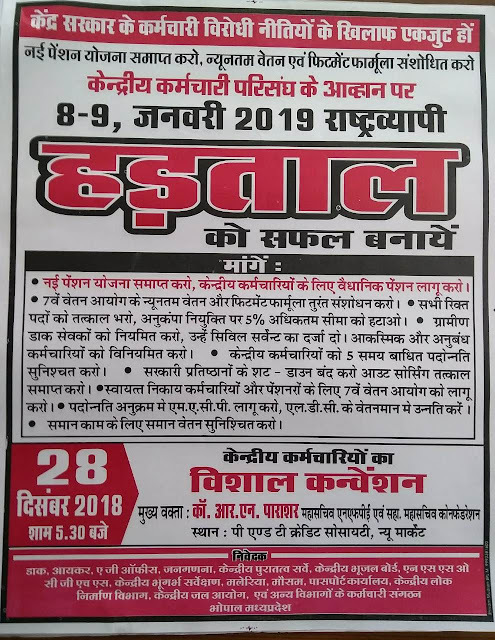 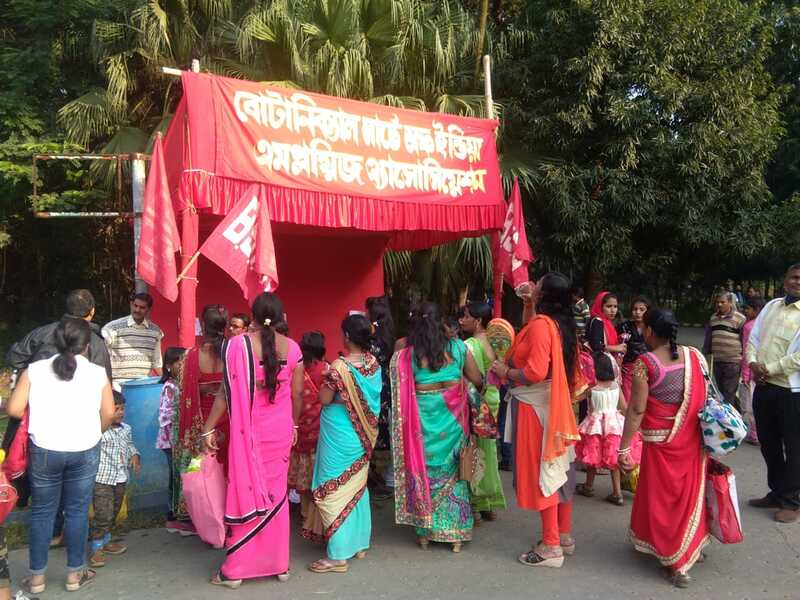 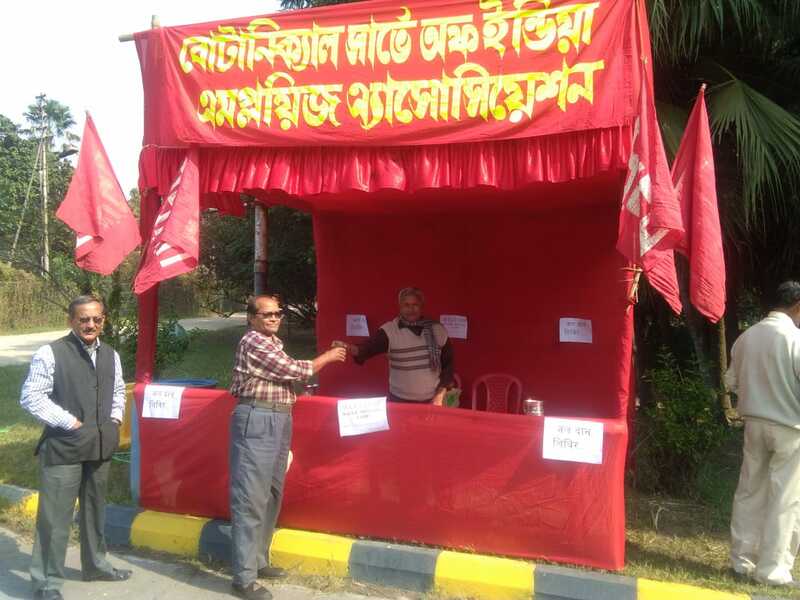 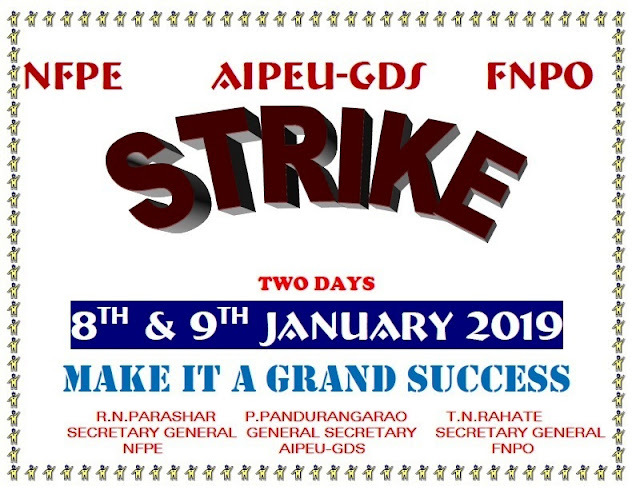 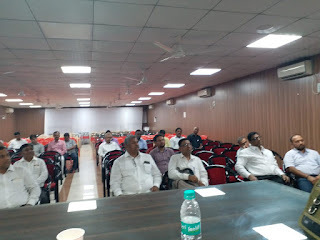 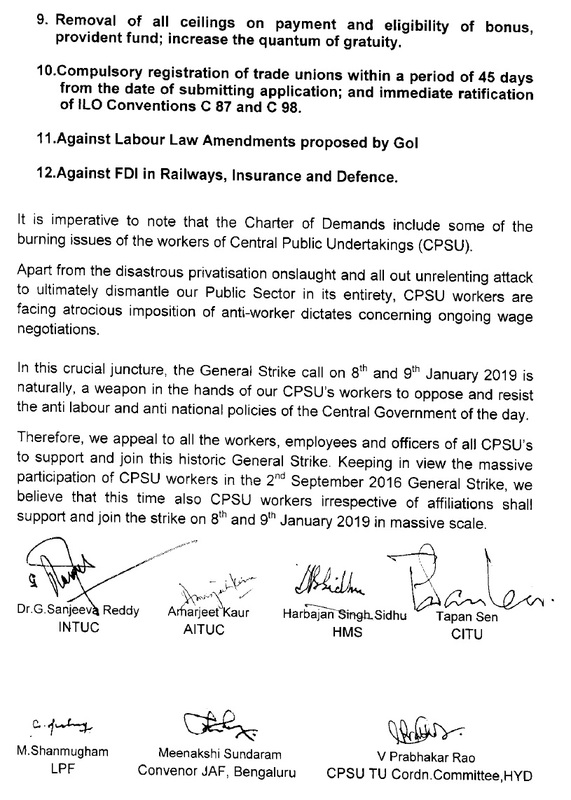 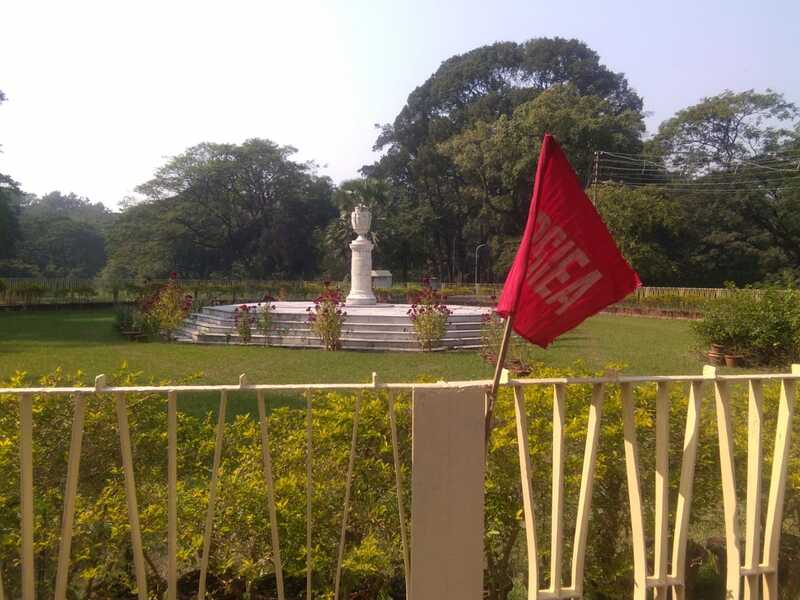 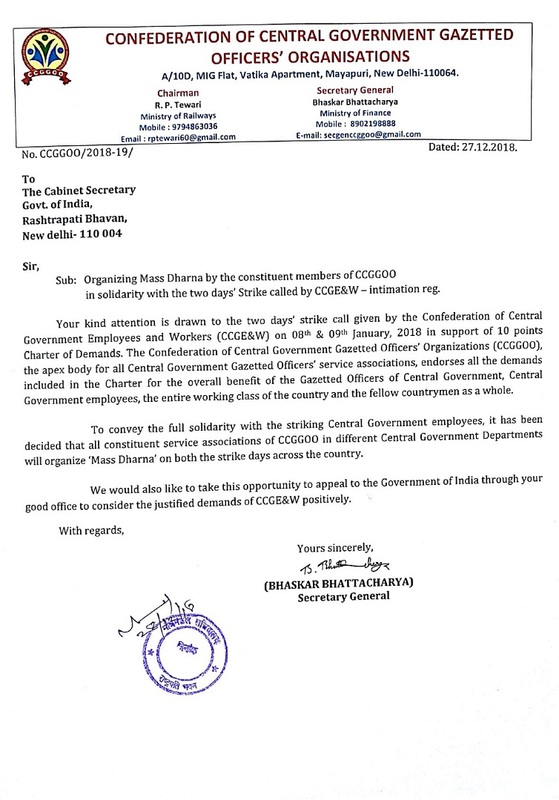 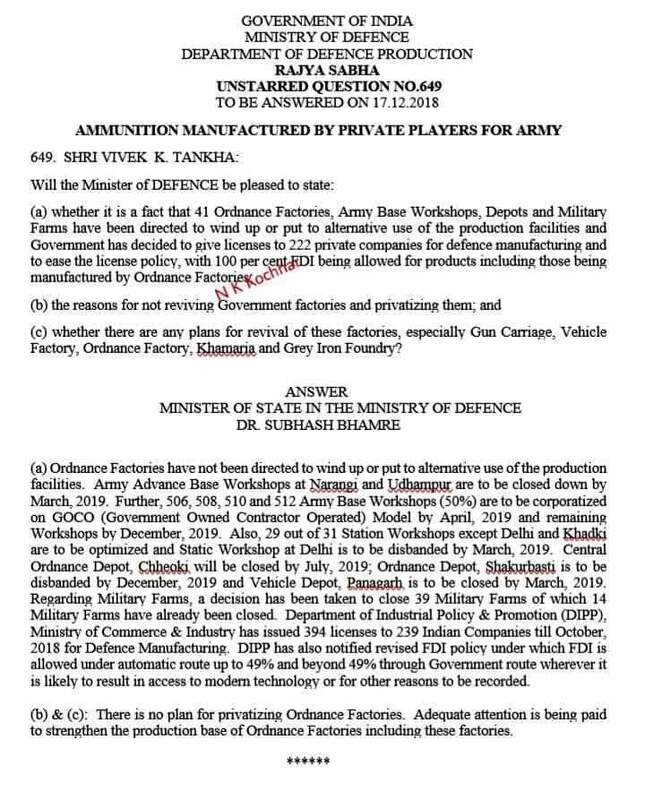 CONFEDERATION AND ALL INDIA DEFENCE EMPLOYEES FEDERATION HAS ALREADY AUTHORIZED THE CHAIRMAN & CONVENER, NJCA TO TAKE THE DECISION FOR INDEFINITE STRIKE. 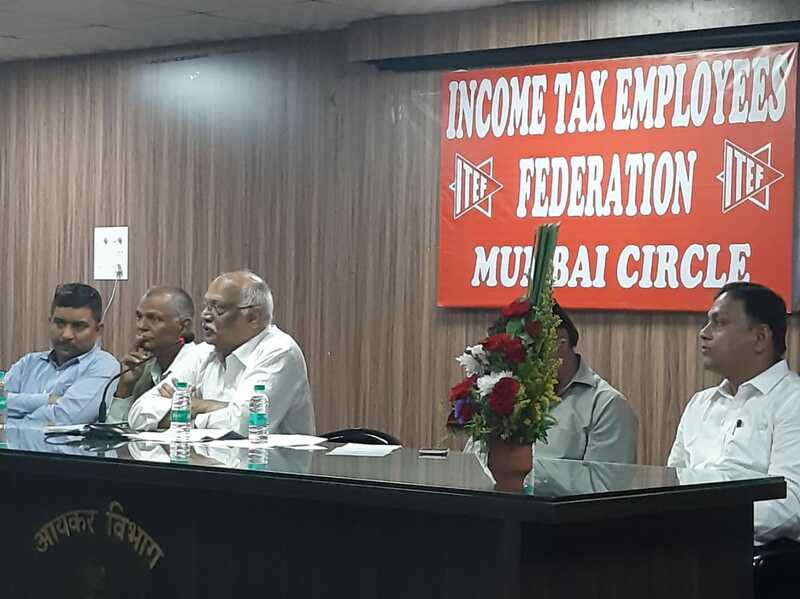 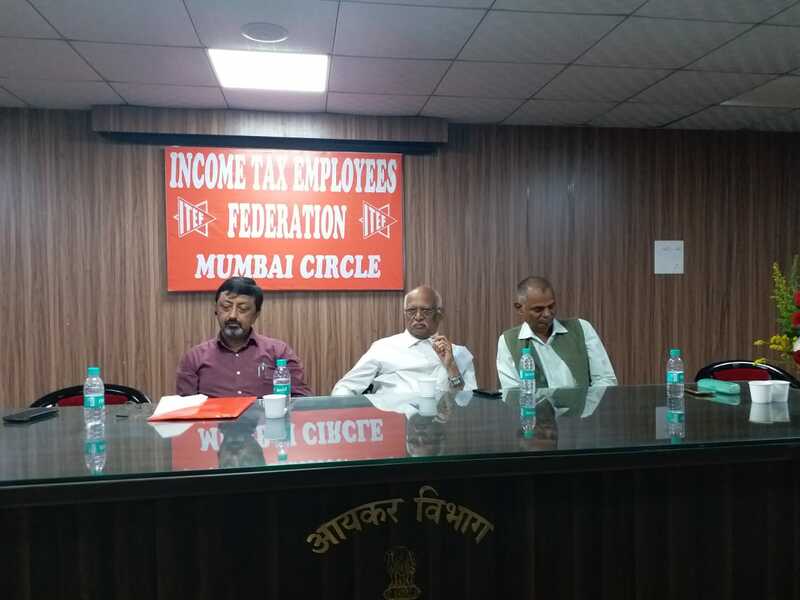 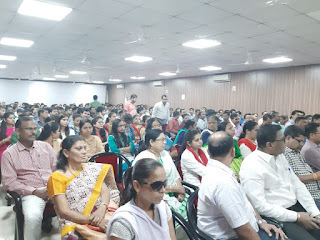 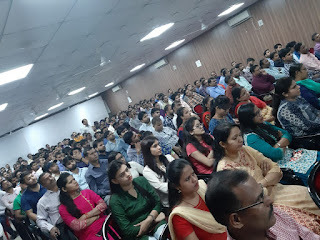 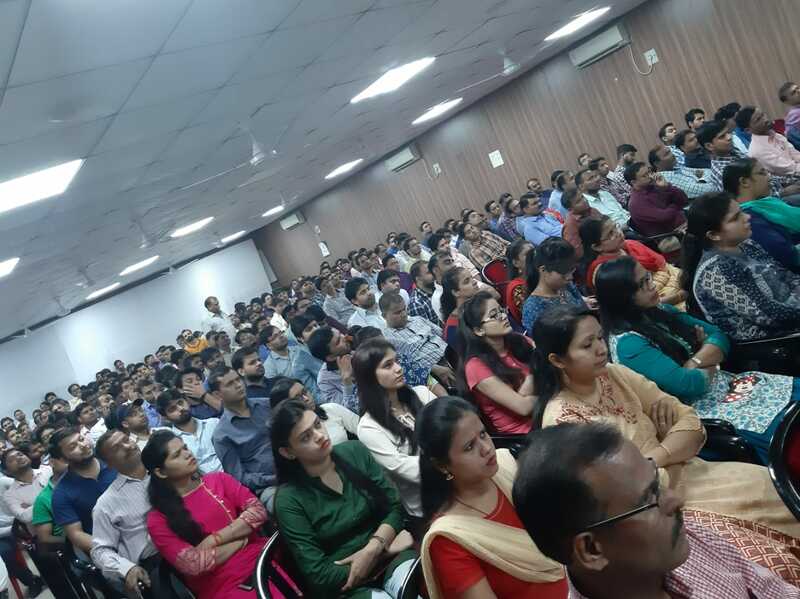 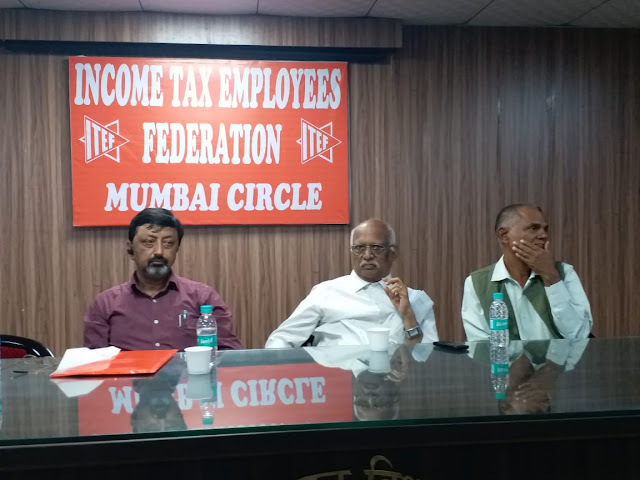 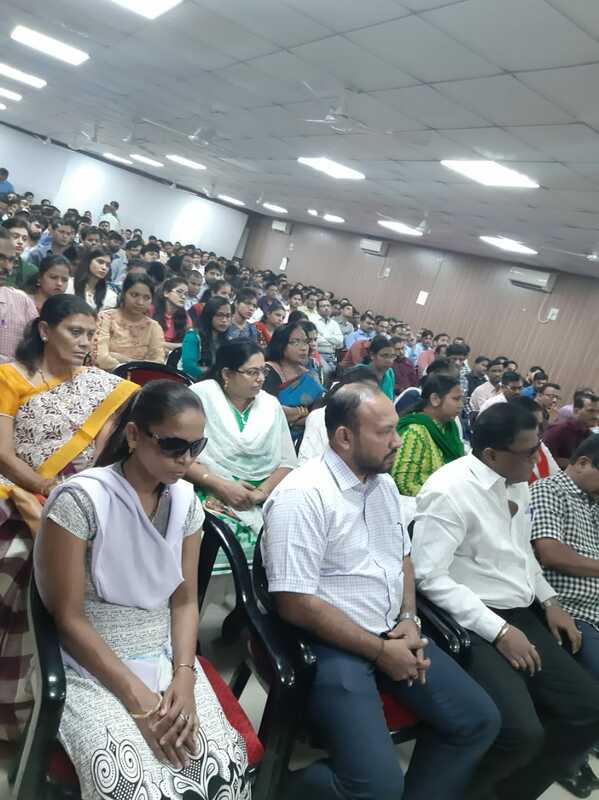 NPS Convention organized by Income Tax Employees Federation at Ayakar Bhawan premises, Mumbai ..
Com.K.K.N.Kutty, President & Com. 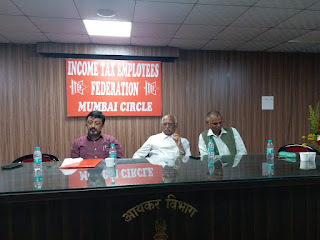 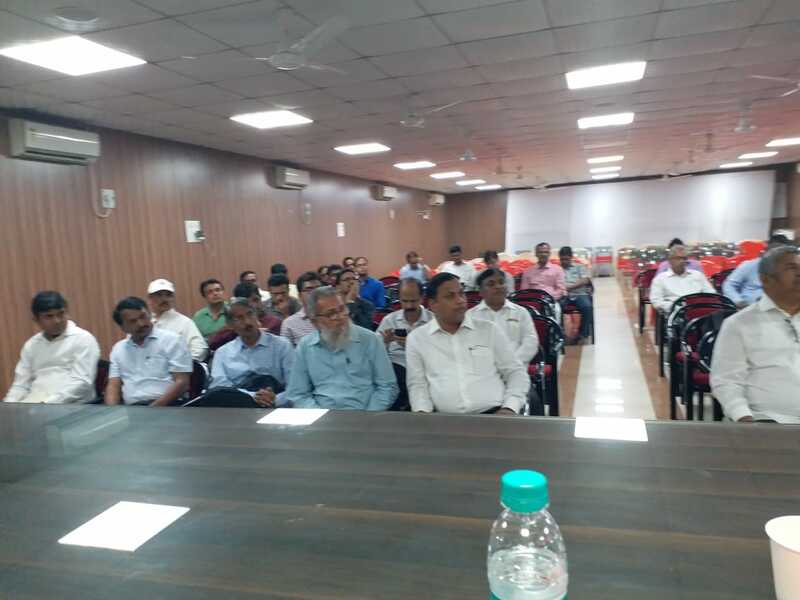 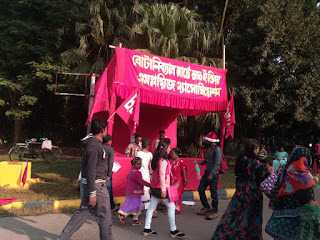 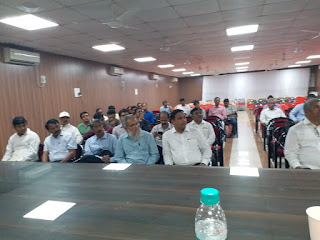 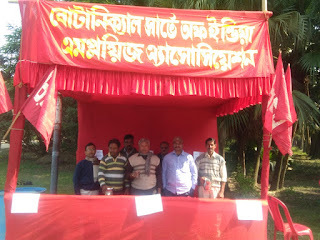 Vrigu Bhattacharjee , Financial Secretary, Confederation, addressed. 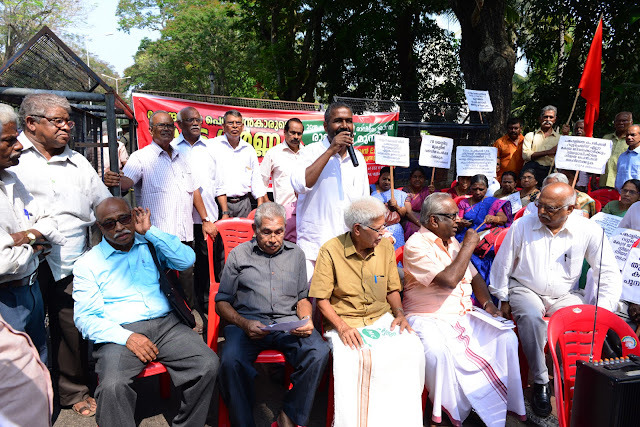 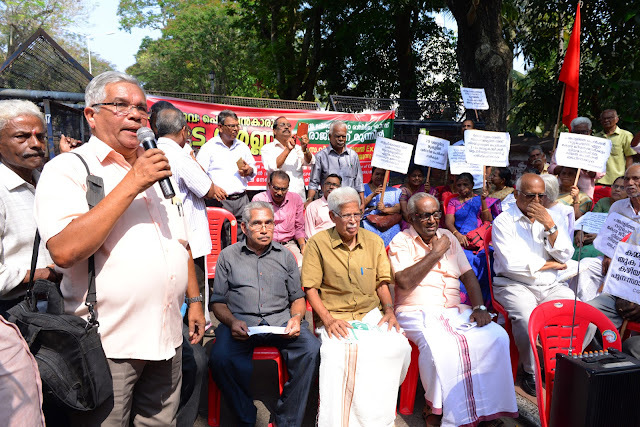 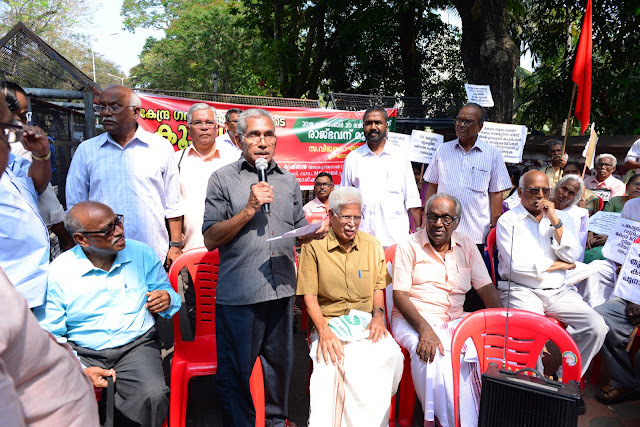 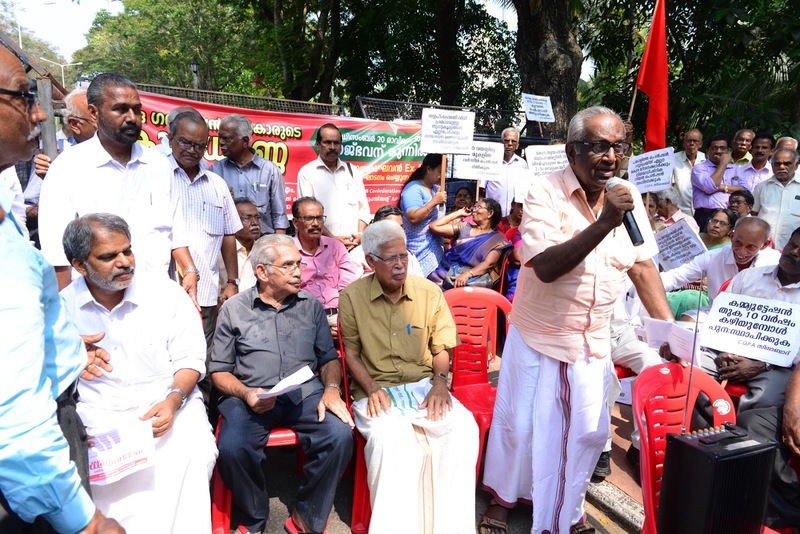 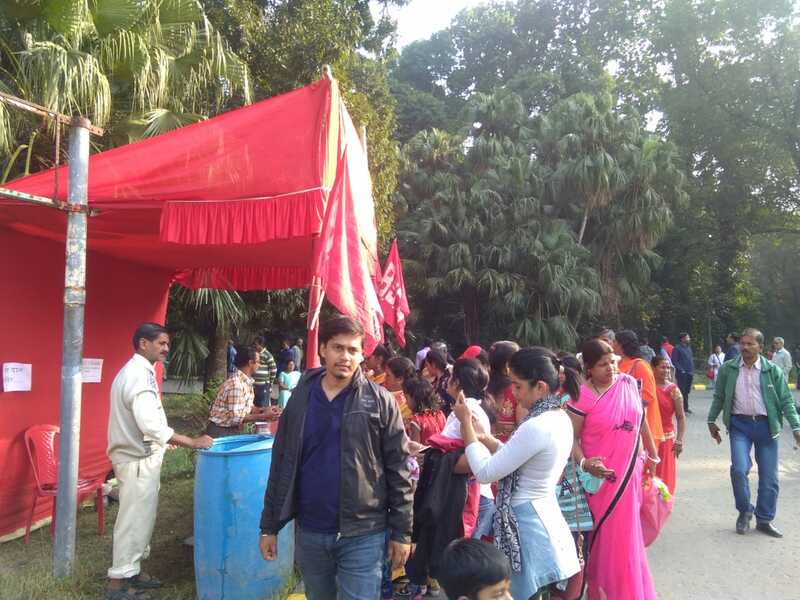 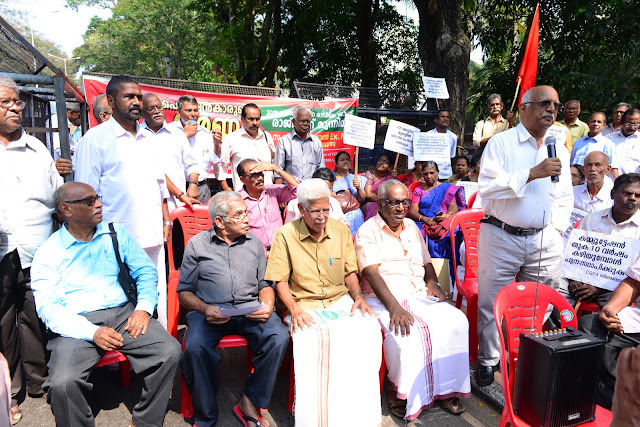 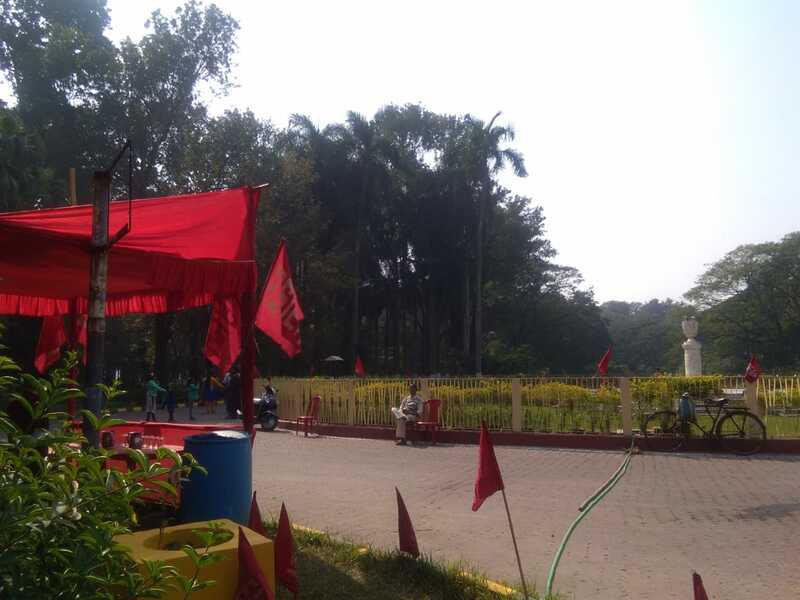 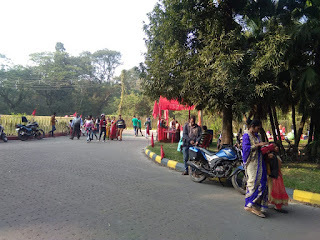 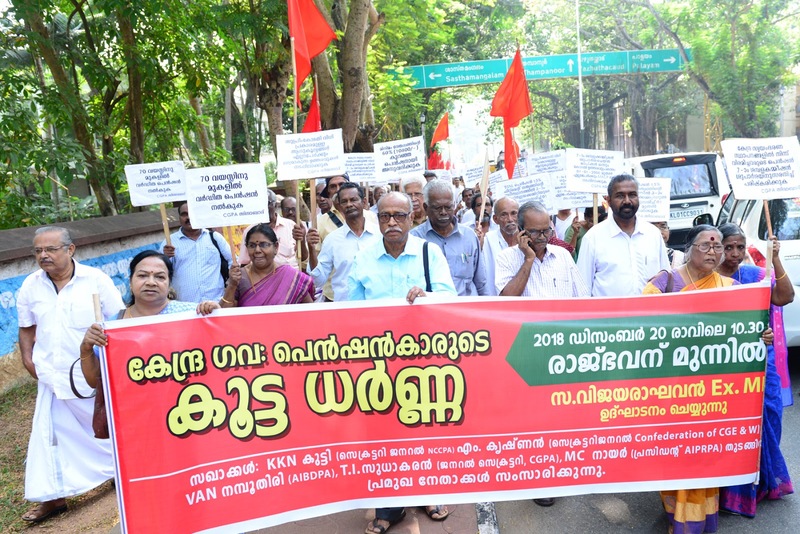 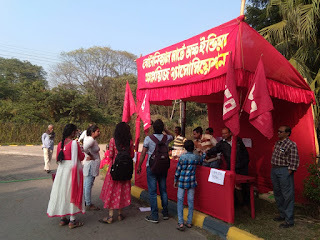 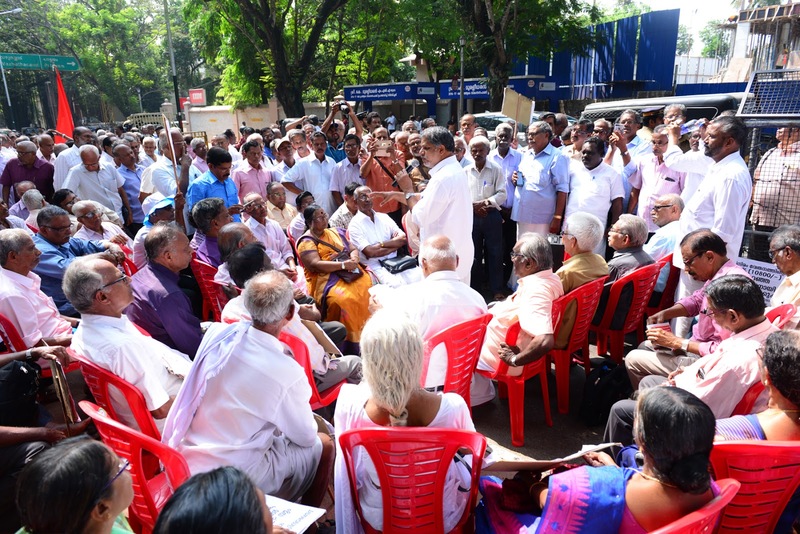 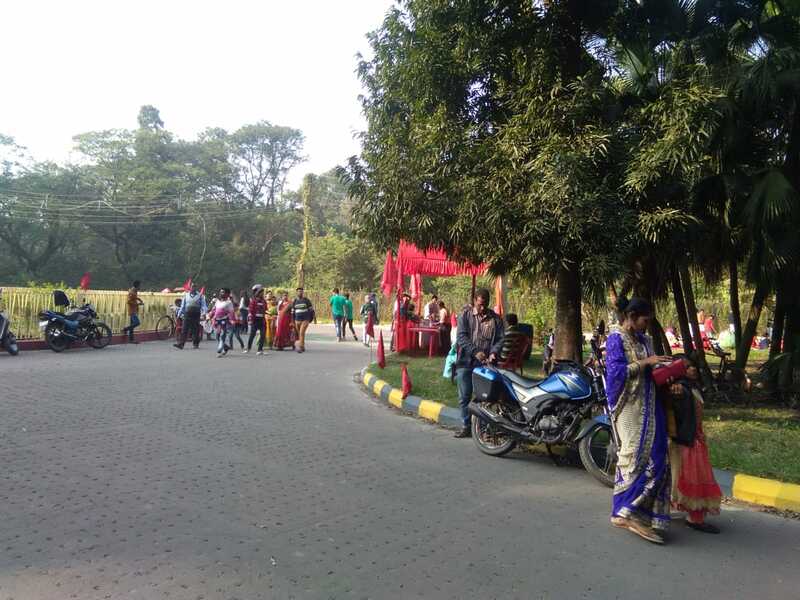 PHOTOS OF THE RAJBHAVAN MARCH ORGANISED BY CENTRAL GOVT PENSIONERS ASSOCIATION (CGPA) KERALA ON 20.12.2018 AS PER THE CALL OF NCCPA DEMANDING SETTLEMENT OF 10 POINTS CHARTER OF DEMANDS INCLUDING OPTION - 1. 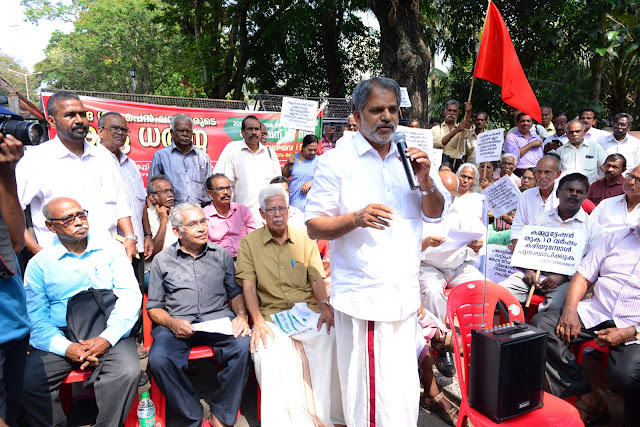 COM: A.VIJAYARAGHAVAN , EX - MP & STATE CONVENOR , LEFT AND DEMOCRATIC FRONT (LDF) INAUGURATED. COMS : K K N KUTTY , SG , NCCPA , M.KRISHNAN , SG , CONFEDERATION , VAN NAMBOODIRI , PATRON NCCPA & AIBDPA , T.I.SUDHSKARAN , GS , CGPA , M.C.NAIR , STATE PRESIDENT , AIPRPA ,V.A.MOHANAN , STATE SECRETARY , AIPRPA , PKMC KUMAR , TVM DIST SECRETARY CGPA ADDRESSED THE RALLY.